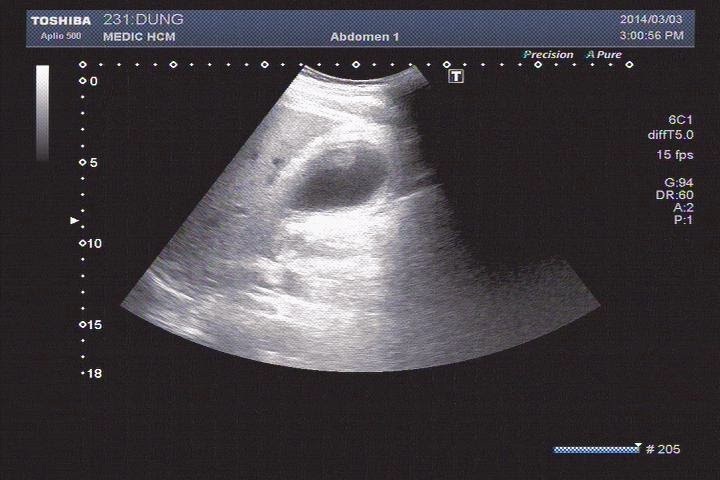 Man 69 yo, pain at epigastric area, no fever, no GI tract trouble. 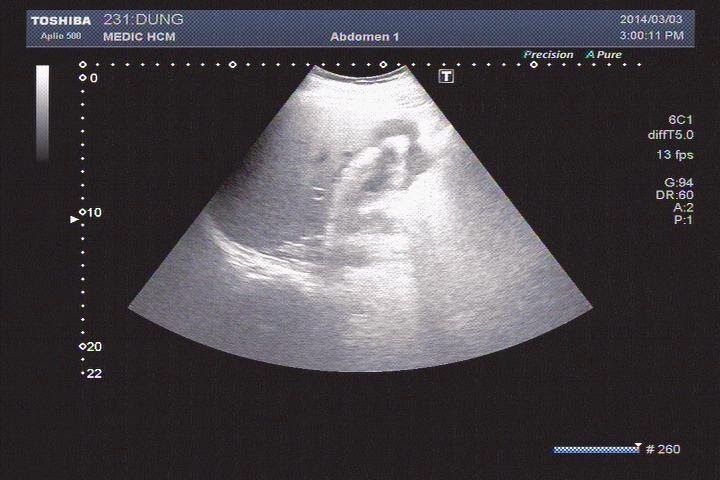 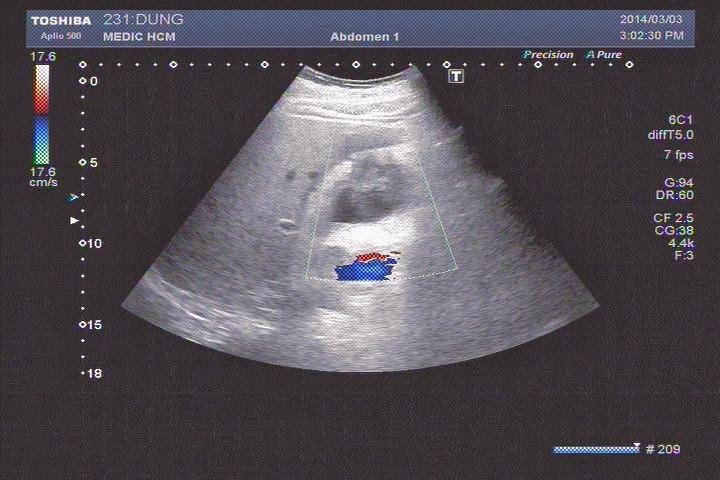 Abdominal ultrasound detected abnormal gallbladder: thickening of the wall with one mass at gall bladder fundus invasion to liver, suggestion of gallbladder abscess ( see 4 ultrasound pictures). 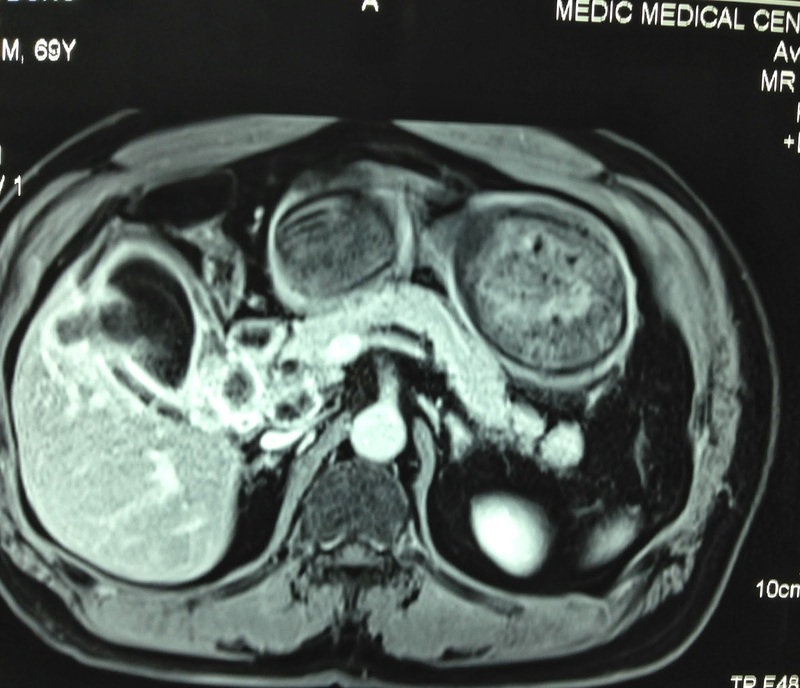 MRI with CE gado showed this mass in high enhancement invasion in to liver and transverse colon, the biliary system was normal. 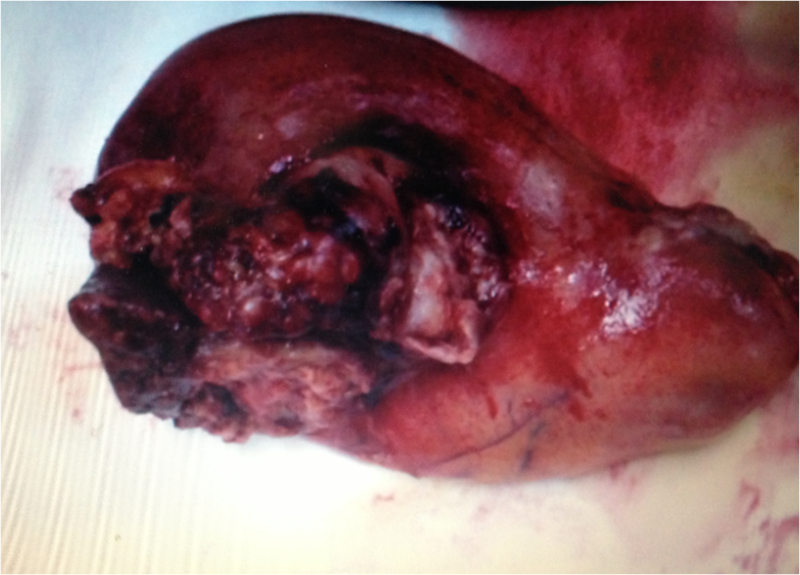 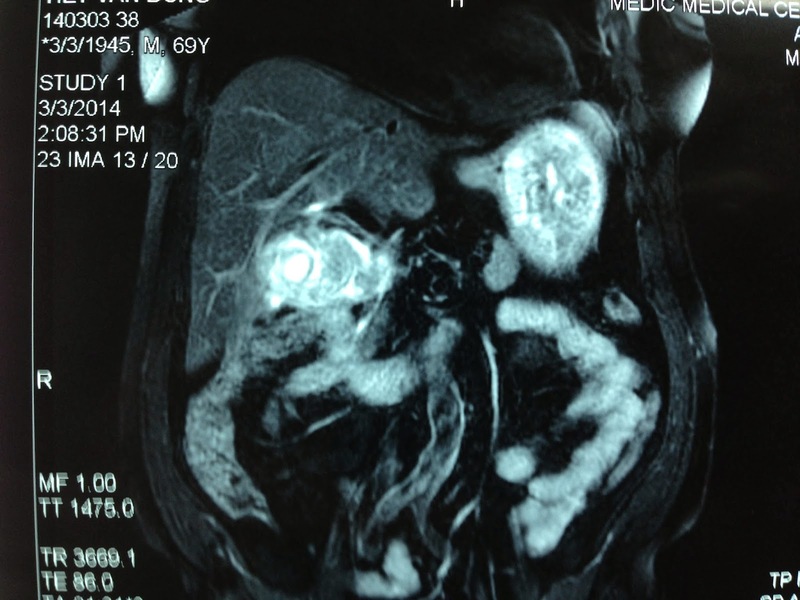 With this clinical situation and blood tests, US first and MRI, what is your diagnosis ? 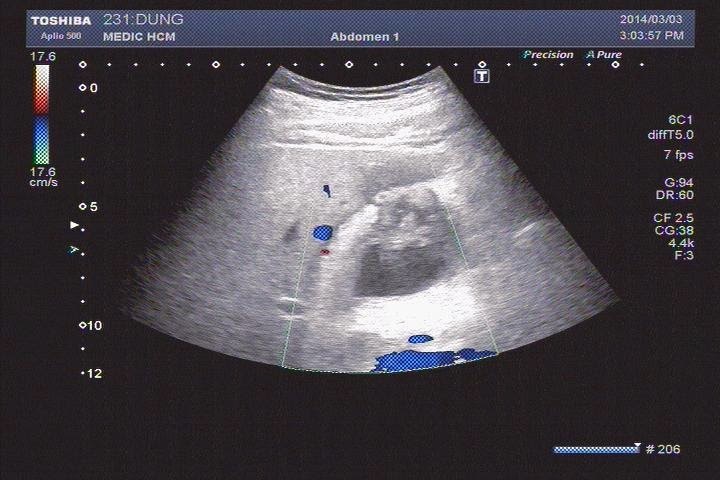 DISCUSSION: this case had no clinical signs of acute cholecystisis, no stone in gallbladder; ultrasound showed the wall of the gallbladder perforated and adherent , invading liver tissue, this mass was hypovascular in protruding into lumen of gallbladder as a tumor and going to extra wall of gallbladder. 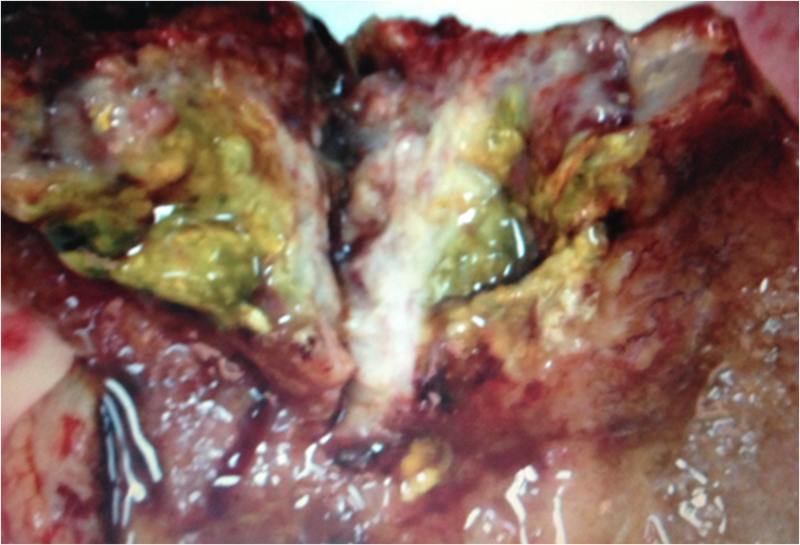 Open operation with diagnosis of tumor of gall bladder (surgeon removed gallbladder and resection one part of liver and great omentum). 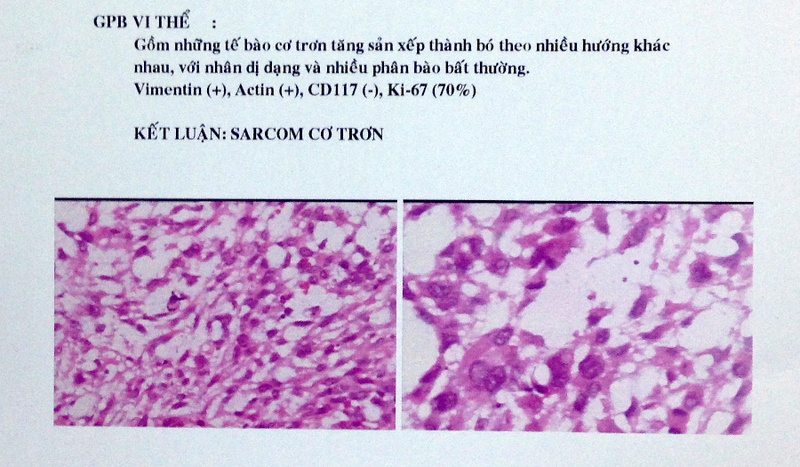 Specimen was hard and necrosis. Microscopic with imunohistostaining is leiomyosarcoma of the gallbladder..it is very rare case in the word had been published.